Jelynn on the FOX sitcom Brothers, tonight! Tonight at 7pm Jelynn will be making an appearance on the FOX sitcom Brothers! 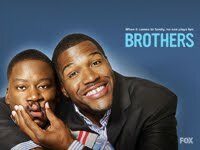 Brothers stars Michael Strahan and Daryl Mitchell and premiered earlier this fall season. Check your local listings!